We Plan. You Play. 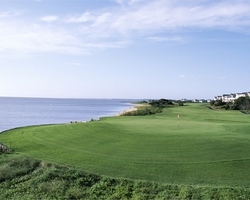 Golf vacation packages to North Carolina. Take advantage of our deals, discounts, the best planning advice, or create your own stay / play package. Golf Zoo offers the best golf courses available as well as your choice in accommodations. Create a custom online trip quote 24/7 by selecting your dates and number of adults on the trip quote box on the right side of this page. Creating your own custom golf package to Sandhills has never been easier. Please use our Interactive Area Map to assist in choosing your golf courses and accommodations, it's really easy to use and gives you lot's of information - including directions, overhead satellite views, complete listing of golf and lodging properties, images & descriptions! More than any other resort in America, eight courses grace Pinehurst's 2,000-acre landscape. Ross, Fazio, Maples and Jones have left their mark to make each of them a unique test of golf. Try the classic courses, like No. 1 and No. 3, both perfect for an unspoiled afternoon. The championship set presents more of a challenge - but all have stood the test of time. We suggest you combine a mix of old and new, short and long courses into your next stay, and find the fine nuances in all of them. More importantly, you'll walk where legends have for centuries, and make your own mark as well. And the region's four distinct, yet mild, seasons permit year-round play. 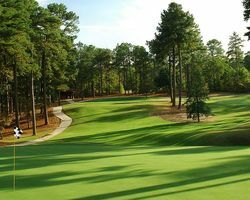 Pinehurst Resort - 3 Nights, 3 Rounds, and Daily Breakfast! Sandhills Getaway - 2 Bedroom Condo and 3 Great Tracks starting at $123 per person, per day!